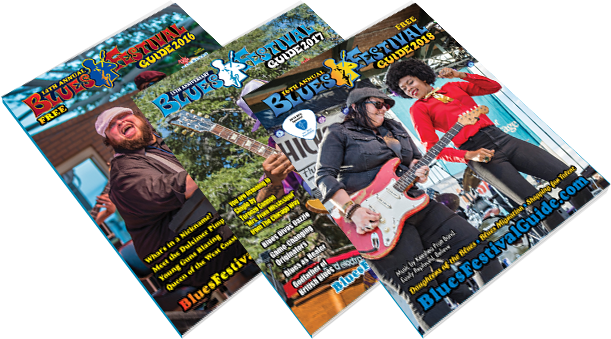 Enjoy over 100 pages of festival information, blues history and lifestyle, industry highlights and editorial content to keep you connected to the blues. Include our print magazine in your yearly marketing budget. This award-winning publication is free to the Blues community (100,000 distributed throughout U.S and Canada), and features entertaining and educational editorial by top Blues aficionados. Thousands of blues fans will also read it in digital format. 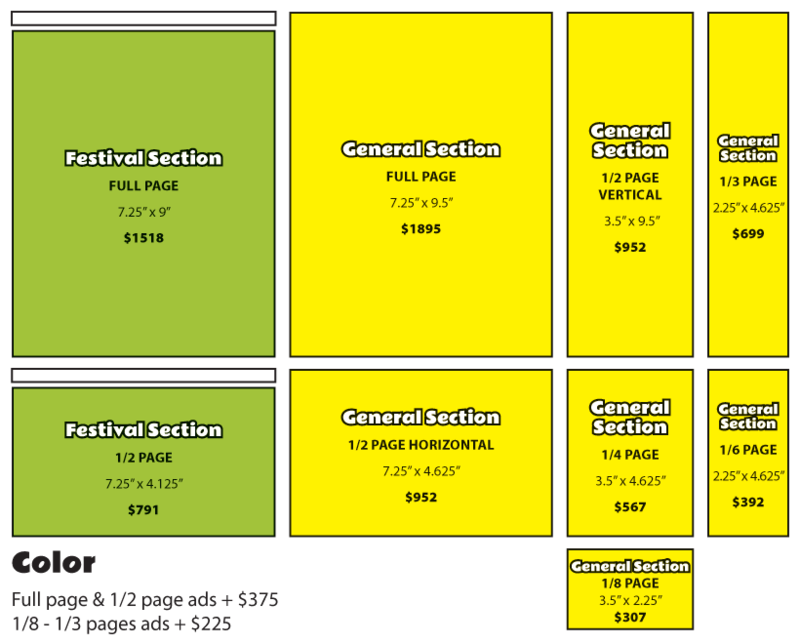 Rates above are for Black and White ads; Color is an additional charge. PDF preferred: Make sure file is saved as hi-resolution CMYK files (300dpi) and all fonts are embedded. Photoshop: Submit file 300 dpi. Save as either .jpg or .tif file formats. 7.25” x 9.5” (= trim -0.5”) This is the safe area; keep text/info within this size to assure none of your important information is cut off during trimming. In-house graphic design services avail. Approx 1-3 hrs per ad at $65/hr. Drive traffic to your site by purchasing a Digital Magazine Hyperlink! To increase circulation, the print magazine is digitized. Blues fans read the entire magazine online by simply clicking through page-by-page.